Rogers announced they’re dropping the hated $6.95 cellphone system access fee. They’re replacing it with a “regulatory recovery fee” ranging from $2.46 to $3.46. They’re also raising their rates by $5. The net effect is that rates will increase between $.51 and $1.51. Rogers is also adding three non-optional calling features, in vain effort to minimize the wrath that will surely ensue. Talk about rate rage. This is a scheme so brilliant it could only have been developed by a marketer in collusion with an accountant. 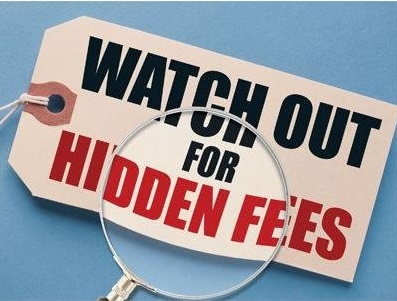 To announce a lowering of fees when it is actually a fee increase is the finest example of double-speak. We are increasing our rates by $.51 to $1.51. To somewhat offset this, we’ll now include three new calling features that regularly cost $11. As an additional goodwill gesture, we’ll give you 100 free airtime minutes. It’s honest, it’s clear and it respects the user; something all documentation should do. Are you sure “pre-tax” prices are the way to go? There's a movement afoot to enforce all-inclusive pricing. The gas pumps have it. The liquor store has it. Isn't it just easier?! BTW, I like the pie-charts shown at the gas pumps that show where the pieces of a dollar go in your gas purchase. It helps me feel less angry at the gas company for the $$$ I have to pay for their product. Yes, in fact in some countries, all-inclusive pricing is the standard. But then retailers would get upset because they would no longer be able to advertise the lower (fake) number. The upcoming HST may have an affect on this, but in the interim, be a geek and always carry a calculator to get the true price.